Its been a while since I could post over here. Sadly, huge technical difficulties have meant I’ve lost a few posts but never mind, its all about the excitement of what is coming up? 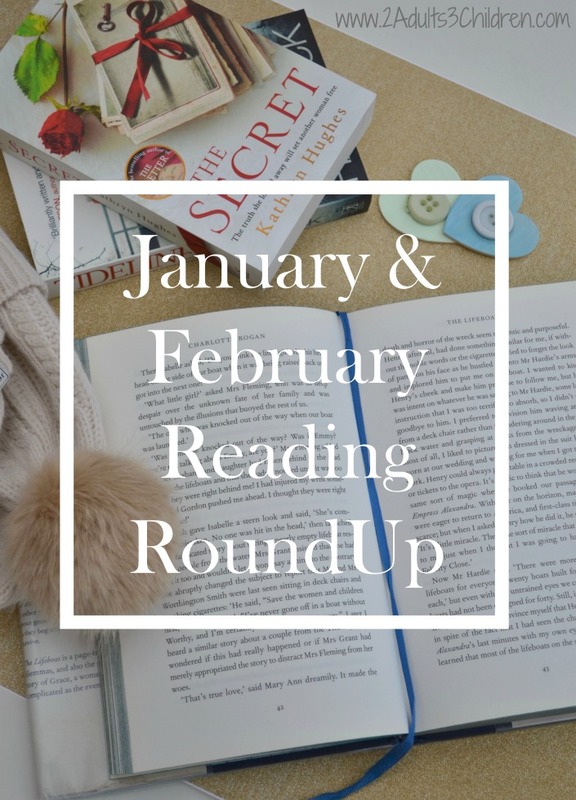 I’m starting back with a RoundUp of what we have been reading during January & February. Progress has been slow and steady but there’s been some good books in there for a start to the year. I’ve been brave and declared that I will read 60 books this year on my Goodreads challenge so I’d better speed up! I know we are not quite at the end of February and I’m hoping to complete another 2 books in that time but I wanted to celebrate publication day today of one of my favourites, Rachel Abbott with The Sixth Window. Regular readers of my blogs will know that I have been a fan of Rachel;’s for the past 12 months+ since discovering her DCI Tom Douglas series. This is the sixth book in the series (I have missed one out but in all honesty I’m keeping it back for when I need a Rachel Abbot ‘fix’) Her last book, Kill Me Again along with Sleep Tight were listed in my Top Ten Books of 2016. Natalie and her daughter, Scarlett are still mourning the loss of their husband/Dad Bernie, but doing their best to get their lives back on track. Natalie has recently entered into a new relationship with one of Bernie’s friends, Ed but starts to suspect all is not what it seems. They move out, and into an apartment block, which quite frankly gives me the shivers from the moment they enter it. Meanwhile, DCI Tom Douglas is called to investigate the death of a young schoolgirl and determine whether her fall from a high rise building is suicide as first it seems, or was she pushed? I love the interaction between Tom and his colleague, Becky Robinson. Threads of previous books are woven in very cleverly, with Becky returning to work after almost dying at the end of Kill Me Again. The feeling of tension and suspense throughout the book really grows and grows. There were several occasions that I had to have a breather, as I just feared the worst would happen. The writing of Rachel Abbott is so clever that each book has a familiar feel yet completely different settings. I don’t really want to go to much into reading this as I have a whole new post planned about HP. Nope, its not a re-read – It the first time I’ve ever read a Harry Potter! I need to mention it in the RoundUp though as it was the first book of the year for me and I loved it! Find out why it has taken me almost 20 years to read it very soon! I’ve seen various book vloggers mentioning this book on their YouTube channels and when the chance came to review it, I thought I’d give it a go. The story started well enough with Flora, the youngest of 2 daughters, rushing to be her Dad, Gil after an accident. The story continues to look around why Flora’s mother disappeared years ago, switching between timelines. There were some elements of this book that I enjoyed, sometimes I really got stuck into Ingrid’s (Flora’s Mum) story. I did want to know what happened to her but actually found the answer rather disappointing and a bit predictable. This is definitely not a book for a reader that prefers action – It is one of the most readable character driven stories I read though. No-one can have missed the craze on hygge. A Danish concept for cosiness that seems to have really taken off worldwide – I’m an advocate as you might remember from one of my previous posts. This book documents Helen and her husband as they go to live in Denmark for 12 months due to work commitments. The book is split into months (quite handy that they started their adventure in January!) following how the Danes live differently throughout the year. I loved the sections at the end of each chapter where Helen summarises what she learnt throughout that month. The content is really varied covering workplace etiquette, shopping in Denmark, Health care, hobbies and so much more. My major discovery was that I really want to work for Lego! What an awesome company that sounds. Sadly, the book was slightly spoiled for me when I heard Helen on Radio 2 (not that she wasn’t completely lovely – just that the publication of her second book gave the ending away to book 1). I still enjoyed it but wish that I had read the book in its entirety before knowing what happened to them at the end of the year. Oh I really loved this book. Set in Nigeria, the story flits between Yejide and her husband, Akin and their desperate fight to become parents. I found out after reading that this book is a debut novel for Ayobami Adebayo. I will definitely be keeping a lookout for her next one. I loved the descriptions of life in Nigeria – You can really get a feel for the place. Its not often I feel transported when I’m reading about an area. This is a book with some really sad moments – there may be trigger moments for any parents that have lost children but they are handled sensitively. The story focusses mostly on Yejide with Akin’s side of the story being told at intervals throughtout the book. And what about the other members of the Costello household? Well, Violet has raced through and raved about David Baddiel, AniMalcolm. This book grabbed her straightaway – As an animal lover, it was just up her street and perfect for her reading age. Such a joy to see her carrying a book everywhere she went and being eager to read the next few chapters. Huge well done to David Baddiel for capturing my 10 year old! We read these books to Tara throughout her toddler years as we did we her older sisters and she loved them. She has recently picked them up to read to herself though, and they are just perfect. Her favourite is Kipper’s birthday party, which I must have heard a million times but its so good to find books that are just difficult enough to challenge her reading but with enough of a story. 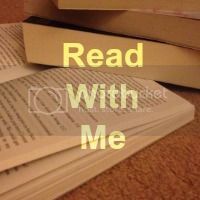 So that is it for now, share with me what you are enjoying reading. I’m particularly looking for thrillers as I have reached the end of Rachel Abbott’s series for now. 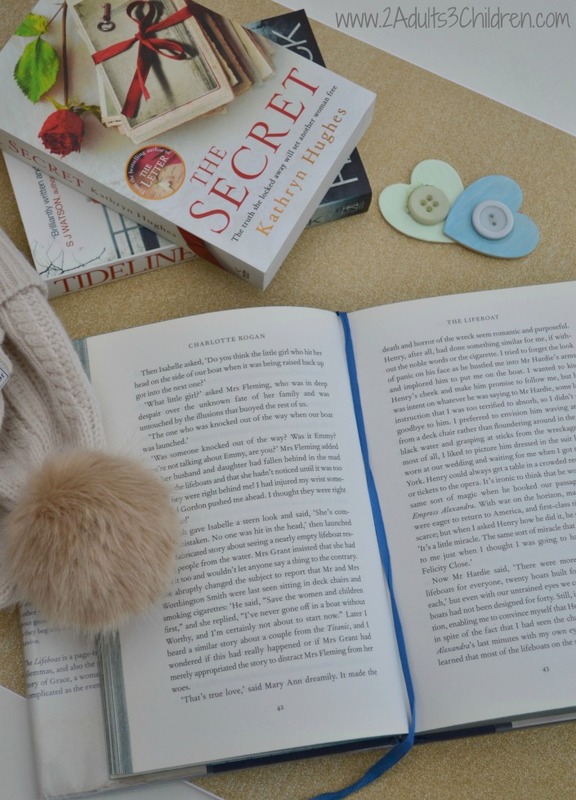 Now, I am serial chick-lit, easy-reader type so I would never EVER pick up these books, except HP of course and I have read and loved The Secret. I do fancy Swimming Lessons and Living Danishly after reading above though! I started reading different genres other than chick-lit a few years ago as I wanted to challenge myself. Occasionally, I do revert back to a heartwarming chick-lit but on the whole I have enjoyed reading other kinds of books much more. I have been really slacking with my reading so far this year and this post has given me a kick up the bum. I am going to do some reading tonight. Thanks Dannii, think you need to be a bit kinder on yourself though – You have been rather busy! Happy to help with some book suggestions. OH its lovely to find a fellow first time reader! I started the second book last night and I’m hooked again too! Looks like some great reads I’ll have to add some of these to my ever growing list of books to read. Sounds like there are lots of interesting reads out there at the moment! Looks like you’ve managed to get few a fair few books read lately! I’ve made it a goal to read more this year and I’m enjoying pinching a bit of time to spend reading, I do love a good book! The Sixth Window sounds great! I really need to read more. I love finding out about authors I’ve never heard about. I’ve just looked into Rachel Abbot on Amazon after reading your post and I ordered the Sixth Window. Exciting! I love a UK-based thriller. I have made a promise to myself that I will try and read at least one book this year! I used to read before I had my kids but not read since! Lovely books. I am drawn to Stay with me. Sounds like a great book. These all sound like very different intriguing reads!!! I love a book that can transport you to a different part of the world so well too!! I like the sound of The Sixth Window. I shall give it a go. Interested to read your Harry Potter review when you publish it. Oh my god I can’t believe you’re only just reading Harry Potter!! I have also read Swimming Lessons and quite liked it but agree there’s not very much action. I think I might have a go at reading The Year of Living Danishly – I love that kind of thing. I’m reading The Unmumsy Mum Diary which is such a great read!